Broadcasting Live with an RTMP stream is only available in the Pro version of WP WebinarSystem. A full tutorial on this will be published soon. Copy the link of your RTMP stream and paste this on the ‘live page’ settings of your webinar. Make sure the webinar type is configured as ‘RTMP Stream’, and save your settings. 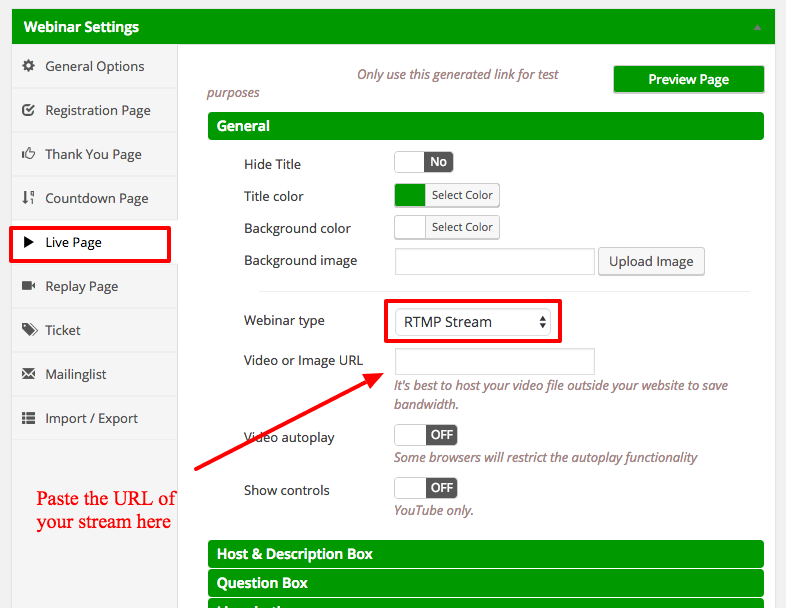 If you have placed the URL of your RTMP stream in WP WebinarSystem, you can go live.